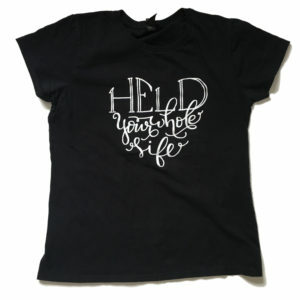 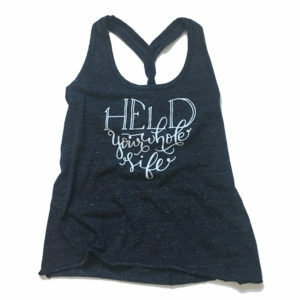 Now you can wear your heart on your sleeve while acknowledging life and supporting other grieving families. 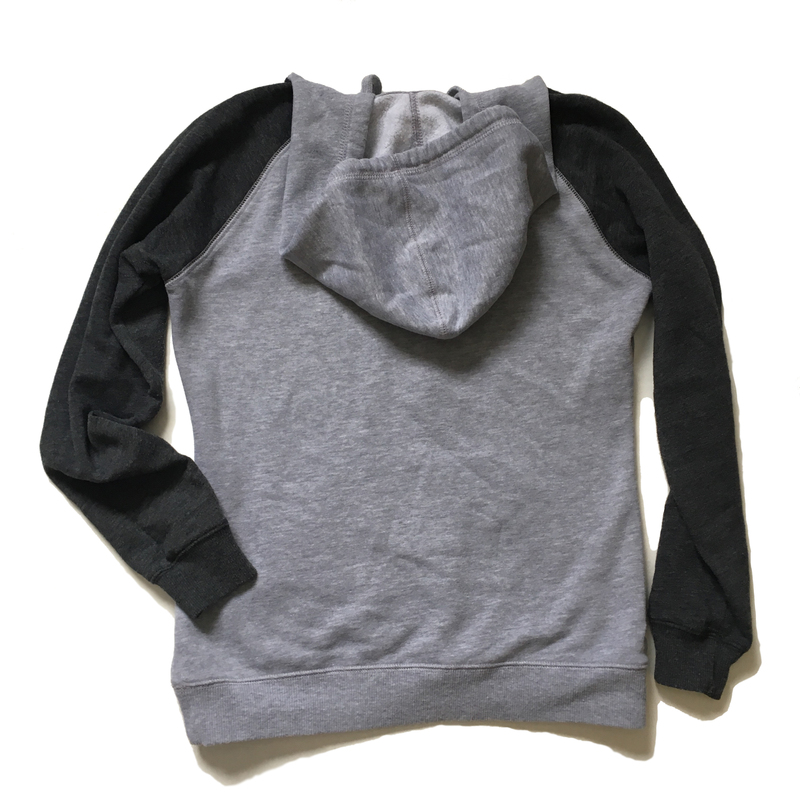 These 55/45 ring-spun, combed-cotton/poly fleece hoodies are like a soft hug wherever you go. 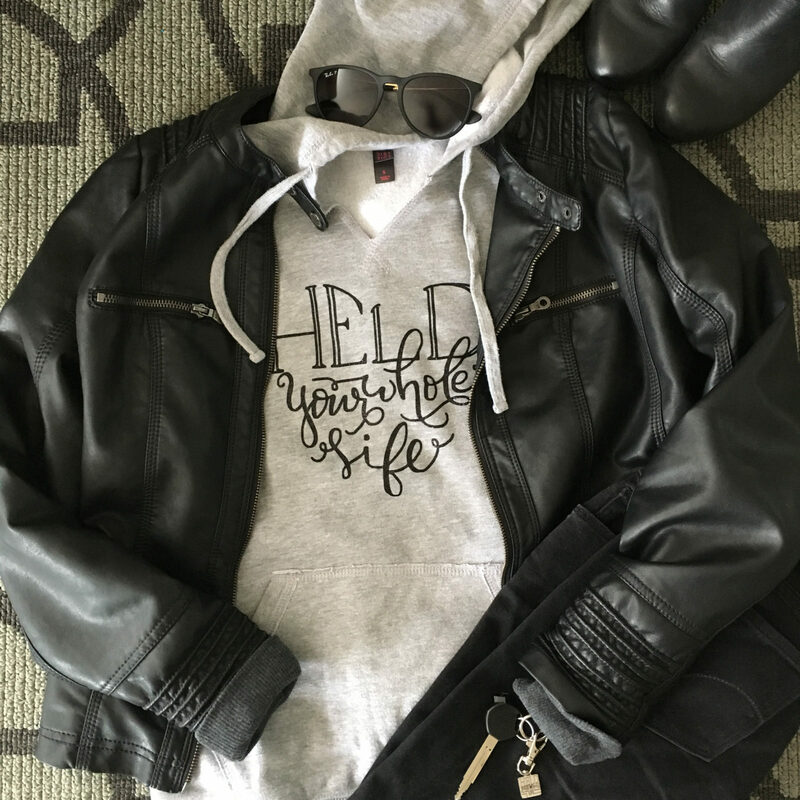 Our lightweight fleece hoodies are heathered grey with heathered charcoal raglan sleeves; the Held Your Whole Life logo is black vinyl. 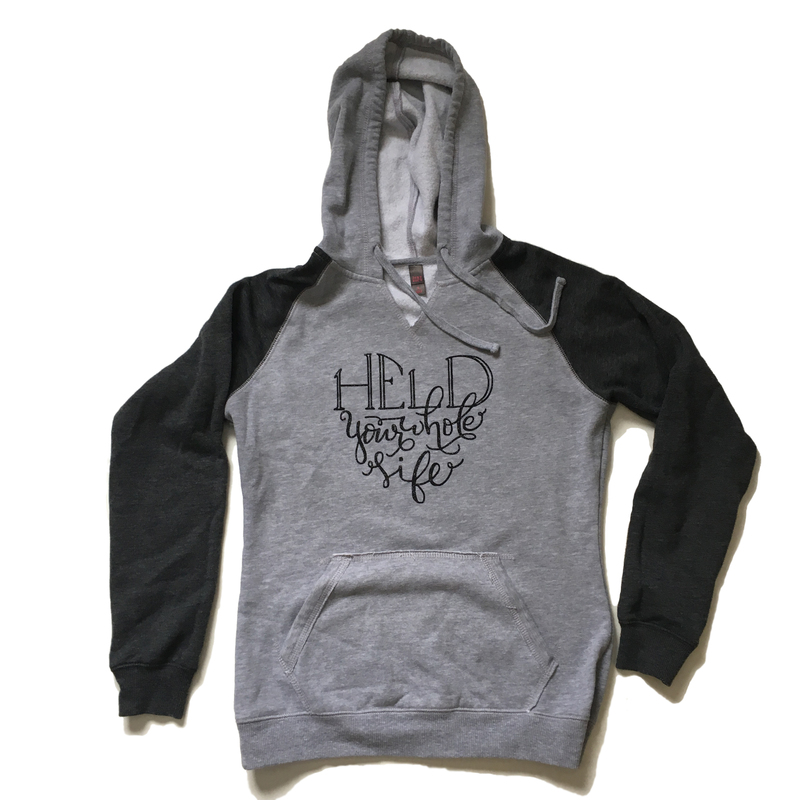 Each HYWL Hoodie is made-to-order in a local print shop; since we don’t keep an inventory of these items, please allow 2 weeks before shipping.